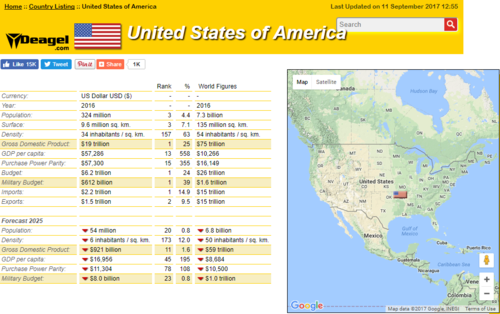 Is North Korea Tied To Expected Massive Depopulation Of America Within 8 Years? - Is North Korea Tied To The Massive Depopulation Of America Within Less Than 8 Years? 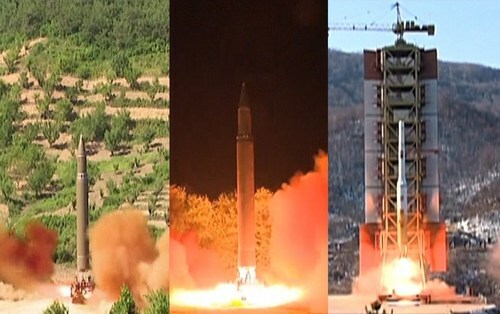 With the September 9th story over at Zero Hedge titled "China Warns Trump: 'We Will Back North Korea If The US Strikes First" helping to define the 'sides' of a coming World War 3 if it begins with a US attack upon Kim Jong Un's rogue nation, it's clear that the 'North Korea problem' isn't simply going to go away. With recent satellite images recently revealing North Korea is undertaking ongoing steps to prepare for war, the signs of a flaring up of impending hostilities grow each and every day as outlined within this new ANP story. From North Korea recently threatening 'pain and suffering' upon the US ahead of the vote for what were being called new, watered down United Nations sanctions to China recently closing the North Korean border crossing with their country to the North Korean leadership openly threatening an EMP attack upon the US for the very first time, the signs of a possible impending conflict are still all around us. A conflict which Russian president Vladimir Putin recently warned would be catastrophic to the entire world with a heavy loss of life. Yet for 324+ million Americans, in a very worst case scenario, World War 3 as we'd learn about it over the internet or network news could be over before most knew it had even began should North Korea be successful with only ONE EMP attack upon our nation. While China certainly has the right as a sovereign nation to back who they choose should war break out, they'd also need to understand that the US has every right to defend ourselves against NKorean hostilities and we'd expect nothing less than President Trump going to war and obliterating the enemy should North Korea attack us. Yet, by then, it could be too late if that one attack was a successful EMP. Hence we have a major 'Catch 22'. Also proving to us why it's ever so important that the US military is prepared to blow any missile out of the sky should they get too close to America, US allies or US territories around the world, it's easy to see why military and national security experts have long warned that World War 3 could begin by accident, or as we outline below, by false flag. As 'Doomer Doug' reports in this recent story, "maybe there is more bark to Kim Jung Un than bite. But how long can the world look the other way when the next missile is fired or the next nuclear weapon (or thermonuclear weapon) is tested?" Warning us within his story that most wars have been started by false flag and should WW3 begin by false flag as well, what difference would it make as once pandora's box has been opened, it'll be impossible to close. If the war-hungry globalists who've been running US foreign policy for many decades now continue to get their way, there may be nothing that anybody can do, including President Trump, to stop the coming carnage. As Senator Mark Miloscia recently stated, "Washington must prepare for a nuclear attack by North Korea that is becoming more imminent" while warning that the city of Seattle is a likely target for a strike. Yet why would Kim and North Korea waste a nuke here or there, on one city or another, when he could take down the entire US with a single ICBM with a nuclear warhead upon it exploded high above the center of the US? As experts have warned as is also detailed in this first video below, such a strike would inevitably lead to the deaths of 90% of Americans or more as our completely electricity dependent society collapses in upon itself. Those who weren't dead within 9 months to a year from starvation or the resultant aftermath and chaos would likely die from countless nuclear power plants melting down nationwide. Imagine the chaos now happening in Houston or Florida spread across the entire nation, our electrical grid no longer functioning for hundreds of millions of Americans. 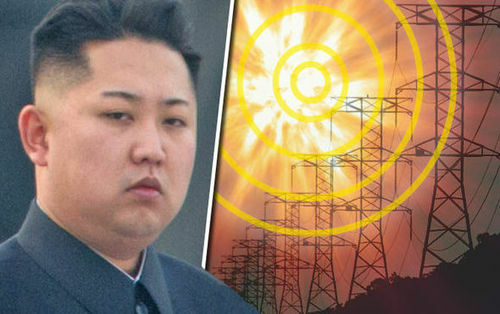 So should Kim Jong Un and North Korea be successful with only one nuclear strike upon America but that strike is an EMP attack upon us, even if his entire country is completely destroyed in the return barrage, the lives of 300+ million Americans would be forever changed. And we'd likely see Deagel's end result of 54 million Americans living here by 2025, down a massive 270 million from those living here in 2016. The American standard of living is one of the highest, far more than double of the Soviets while having added a services economy that will be gone along with the financial system. When pensioners see their retirement disappear in front of their eyes and there are no servicing jobs you can imagine what is going to happen next. At least younger people can migrate. Never in human history were so many elders among the population. In past centuries people were lucky to get to their 30s or 40s. The American downfall is set to be far worse than the Soviet Union's one. A confluence of crisis with a devastating result. In the 2nd video below we hear that North Korea has once again warned the US about imposing United Nations sanctions upon them and what the result of such sanctions, now approved, might be. In the 3rd video below we hear that China will be backing North Korea if the US were to attack them first. While in the final video below, we actually hear that some completely ignorant Americans are congratulating Kim and North Korea for their 'nuclear arms' success.